Behind every great day is a great night at the Comfort Inn Fiesta at Six Flags hotel in San Antonio, TX. 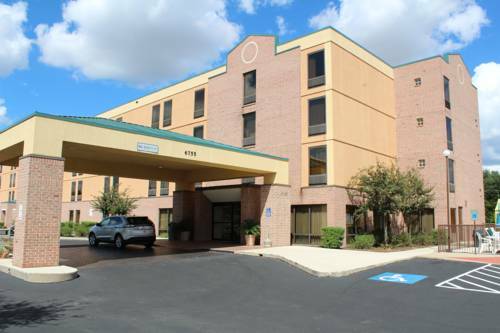 We are conveniently located right near other activities and sites like the San Antonio River Walk, SeaWorld San Antonio, Historic Alamo Landmark and Museum, San Antonio Botanical Garden and the San Antonio International Airport. Take advantage of our free hot breakfast, free WiFi and seasonal outdoor pool. Guest rooms feature microwaves, refrigerators, irons and ironing boards, coffee makers and TVs. We also offer membership to the Choice Privileges Program, which gives members the opportunity to earn valuable rewards points toward airline miles, gift cards and free hotel room nights. Pet Accommodation: 25.00/stay. Limit 2 pets/room, under 25 lbs.